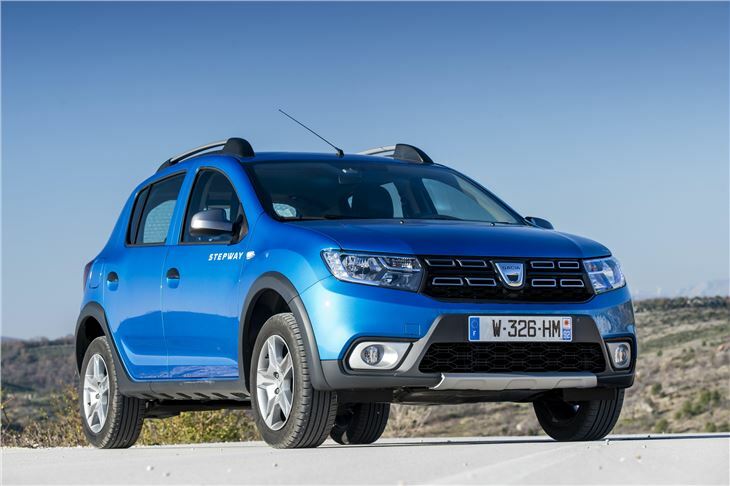 The Dacia Sandero Stepway for 2017 has been refreshed and upgraded. 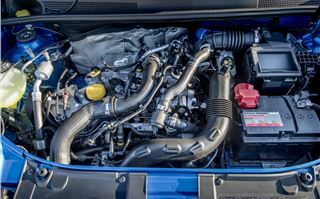 Engines remain the 0.9 litre 3-cylinder TCe 90 petrol and 1.5 litre dCi 90 diesel. 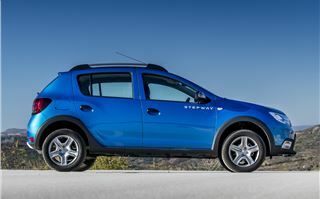 The Stepway doesn’t get the new 3-cylinder 1.0 SCe 75 base level engine of the Sandero and Logan MCV. 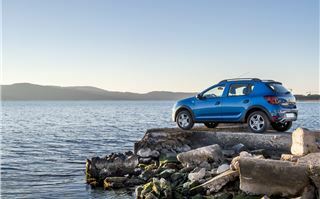 As before, it’s basically a jacked up version of the Sandero with 16-inch wheels, clever wheeltrims that look like alloys, and some dressing up of the external trim to give it an SUV look that lifts it above the Sandero for an extra £1,000. It sports an attractive new front with double optic headlights (as on the Duster) and LED Daytime Running Lights. The 2017 grille has a honeycomb design picked out with chrome edges, there are sharper bumpers front and rear with more prominent foglights, rear lights in the pattern of four stacked rectangles and a chromed exhaust pipe trim. Prices start at £8,795 for the Ambiance trim (no Access model) and all Stepways come on 205/55 R16 tyres, a size for which a wide variety of alternative tyres are available, including Michelin Cross Climates that are likely to make a big difference. Inside you’ll find Dark Carbon Indite cloth upholstery, a satin-effect chrome finish for the air vent surrounds, trim strip and centre console fascia, while a new four-spoke steering wheel design has the horn push in the centre where you’d expect it to be instead of at the end of the indicator stalk. Lauréate versions have cruise control and speed limiter buttons on the steering wheel and a soft feel rim. At the request of customers, front electric window switches have been moved from the centre console to a panel by the door handles. 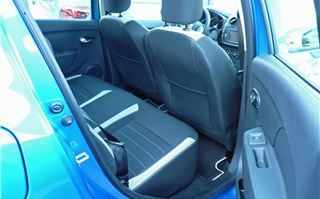 There is now a 12-volt power socket accessible to rear passengers, and various stowage spaces, including a front mobile phone cubby in the side of the passenger seatback and a tray on the side of the console for small items. 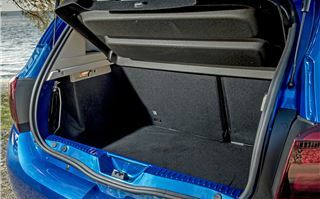 The new centre console also has a bottle holder accessible to rear seat passengers. 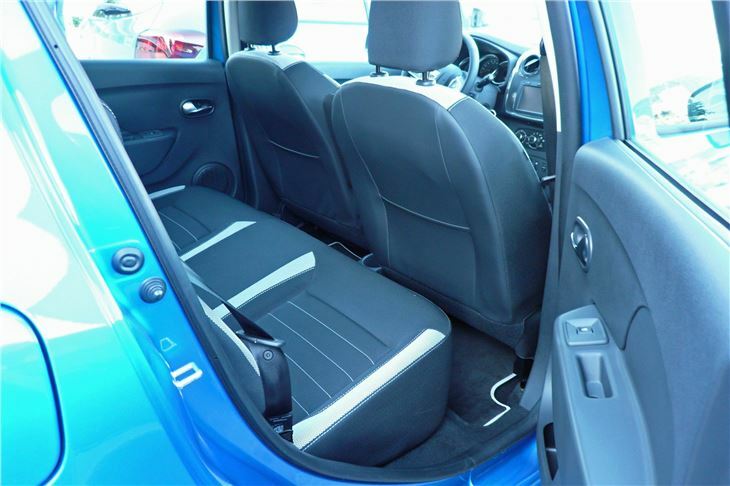 Standard equipment includes DAB radio and air conditioning on all trim levels. The top-of-the-range Lauréate versions get a MediaNav navigation system incorporating a 7-inch touchscreen, AUX input, radio and USB and Bluetooth connectivity. Rear parking sensors are also standard and a reversing camera is optional. The deep and commodious glovebox is retained. Out on the road, the bigger wheels, raised ride height and longer travel suspension give a more comfortable ride than the Sandero. The steering seems to have better ‘feel’ and, while the handling isn’t anything to rave about, it’s acceptable for a car in this price range. The seats are comfortable, but you do need to specify the height adjustable seat and steering wheel at £50 extra to find your ideal driving position. Though the materials, fit and finish are good, money has been saved by fitting all models, petrol and diesel, with the same 7,000rpm rev counter, and, while vanity mirrors in the sunvisors are welcome for applying one’s lipstick in a traffic jam, they aren’t covered, though for male drivers that’s a problem soon fixed with a strip of duct tape. 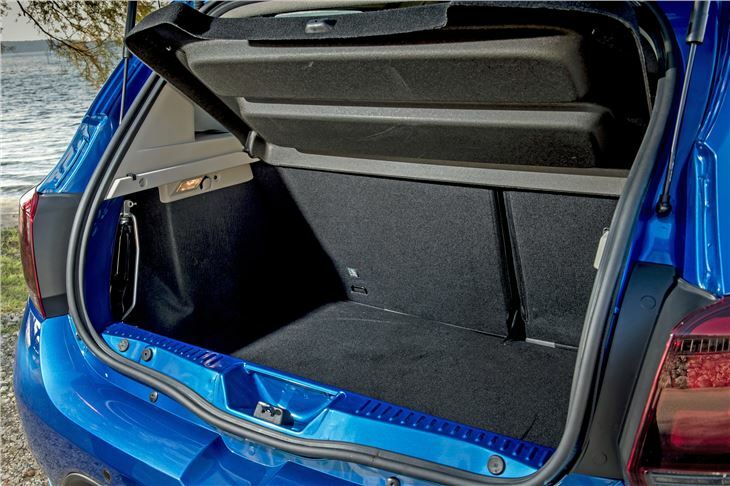 The 40mm raised ride height raises a problem for the shorter of stature at the rear of the car because they can’t reach the edge of the hatchback to shut it. But again, that’s something soon solved by a homemade dangler screwed into one of the trim fixings. 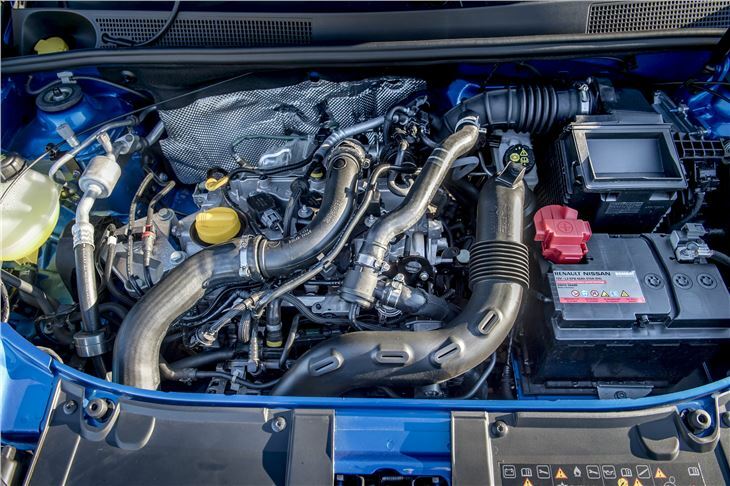 Prices are £8,795 and £9,995 for the two trim levels with 90PS petrol engines and £10,195 and £11,395 for the 90PS diesels that are a little less of a bargain, particularly bearing in mind the increasing long term maintenance costs of diesels. But for people living in the country who don’t want the expense of four-wheel drive and anyone in the suburbs who wants a butch looking car for sensible money the Sandero Stepway makes sense.